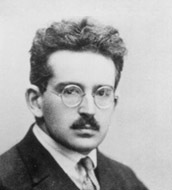 This was the words of Walter Benjamin who is a philosopher of Germany. History is written by the winners and they have been imposing their history view to the losers. If you are able to really understand the meaning of this word, I could say that you already have a half of understanding of these articles. These days the technique which may be called mind control has been sophisticated so much that even the losers are made to believe that the history is actually true and the losers even insist that history. This is true also for Japan. Japan which was the loser in the war, has been occupied by the United States for 7 years after the war was over. During that time, a propaganda called ‘War Guilt Information Program’ has been done in order to plant guilt of war in the minds of Japanese. As a result, many Japanese have been made to believe the inaccurate history view until now. In this chance, I will focus on the two lies in ‘Nanjing Massacre’ and ‘Comfort Women (Military prostitutes)’. Once you understand these two are lies, then you will be able to understand many other things. Claims of China and Korea are lies. China and Korea scatter a wrong history view to blame Japan as a national policy not only to their own citizens but also to the whole world. Thank you so much for visiting this web-site. I hope that more people should be able to have a correct history view.